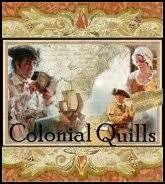 All content provided on Colonial Quills is for informational purposes only. The owner of this blog and its contributors makes no representations as to the accuracy or completeness of any information on this site or found by following any link on this site. The owner and/or contributors will not be liable for any errors or omissions in this information nor for the availability of this information. Nor will they be liable for any losses, injuries, or damages from the display or use of this information. Further, the owner and/or contributors is not responsible for the republishing of the content found on this blog on other media without permission. The FTC requires that Colonial Quills and its contributers must disclose that all views on this blog are our own. The books that are reviewed are provided by the author, publisher, or reviewer. We are under no obligation to write a positive review. The opinions expressed belong entirely to the reviewer. No monetary compensation is ever received in exchange for the reviews. The owner of this blog or any of its contributors are not responsible for their expressed views in their works or on this site. 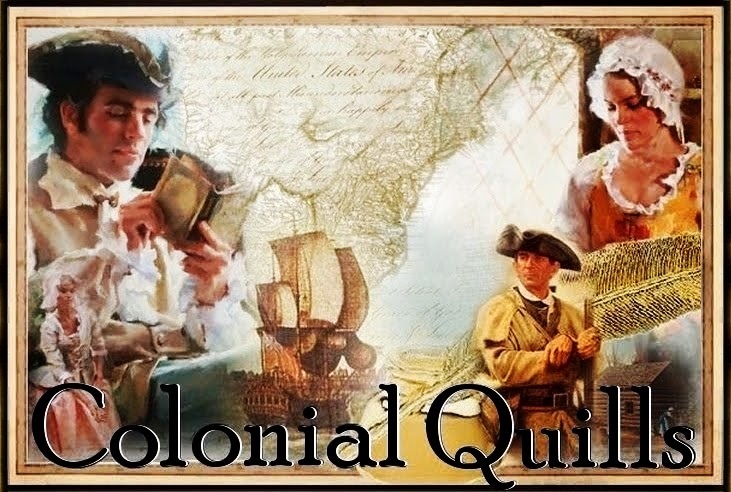 Colonial Quills is pleased to offer giveaways from time to time to promote books written by our Colonial American Christian Fiction Writers authors. All giveaways on this blog are provided by its authors, publishers, or reviewers. Ways which we generally do this is through our New Book Release Tea Parties, Blog Anniversary Parties, and other occasions. In order to be eligible for a giveaway users are asked to leave a comment in response to the post in which the giveaway is offered, unless otherwise instructed. Chances of winning are based on the number of applicants. A random winner is drawn when a book or product is given away. Unless otherwise specified, all giveaways are subject to U. S., lower 48 states. Winners must be 18 or older. Void where prohibited by law. All Federal, state and local laws and regulations apply. Taxes, if any, are the sole responsibility of the winner. The blog owner or any of its contributors assumes no responsibility or liability for any damages, losses, or injury resulting from the acceptance or use of any prize. Entering the giveaway is considered a confirmation of eligibility on behalf of the enterer in accordance with these rules and any pertaining local/federal/international laws.